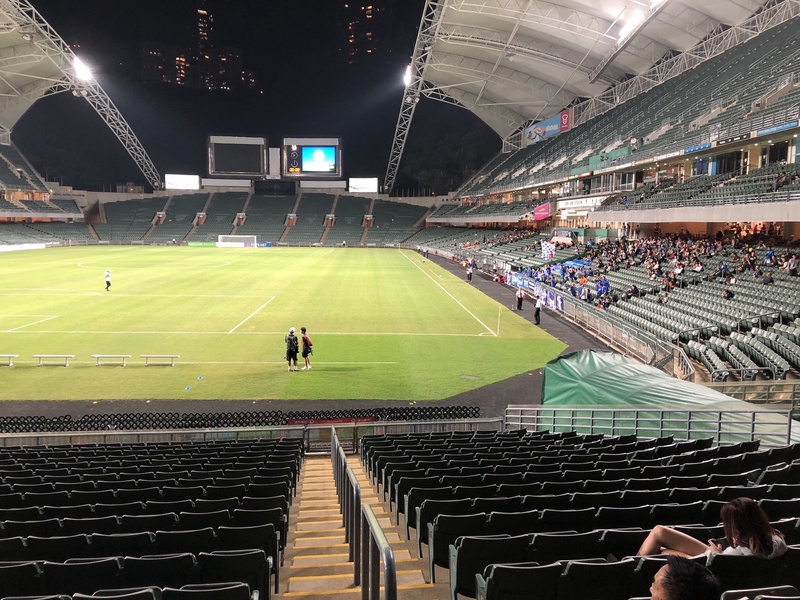 Causeway Bay, Hong Kong — You don’t end up at a Hong Kong Premier League match by accident. There is no place to purchase match tickets online, and when you call the league’s ticketing office it comes back as a wrong number. Maybe you dialed it in wrong. 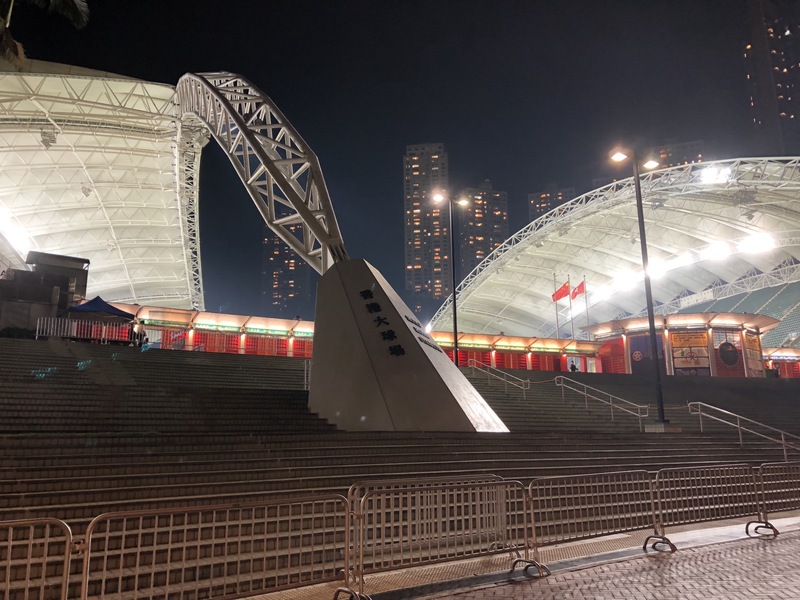 To get to Hong Kong stadium requires a bus, two trips on the MTR, a cable car ride (more aptly named by the locals as a “ding ding” for its signature bells upon arrival at each stop), and a winding 15 minute walk that is often poorly lit. Even when you get to the stadium it isn’t immediately apparent that two professional soccer teams are about to square off on a brisk Wednesday evening. Because, while the floodlights beam down from the Wembley-inspired half domes onto a neatly trimmed football pitch, the 40,000 seat arena contains no more than 2,000 Premiership fanatics. The American sports experience I’d grown accustomed to is highly commercialized. It’s a multi-billion dollar a year industry, filled with commercials, sponsorships, and corporate suites. 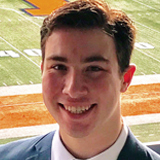 Even Silicon Valley has now taken a vested interest in developing technology that innovates both athletic performance and the fan experience. I could go on. Don’t get me wrong, I love American sports. I grew up on them, made some of my best friends through them, and have even strongly considered a career in the industry. I really do love and appreciate their contribution to American culture. 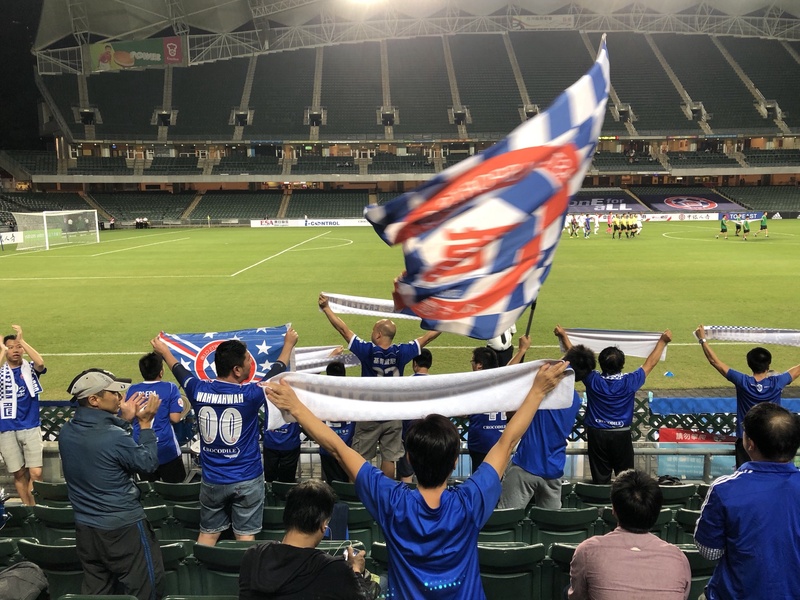 But while there are plenty of diehard fans and goosebumps-raising moments to be found at home, there was something refreshing about this soccer match I had sought out in the middle of a busy night in Causeway Bay. Basic research turned up that players on the pitch had played in Brazil, Spain, Tukey, Iran, England, and many other far-off lands and lower level divisions of the soccer world. They were not there for the salary or the fame, clearly. Perhaps they were holding onto a dream; using sports as an outlet to see the world, or escaping problems back home. Regardless, in one way or another, all were there for the love of the beautiful game. The fans were no different. An enthusiastic supporters section consisted of roughly two dozen Long Lion’s faithful ranging from (again, roughly) ages 8 to 68. They chanted and belted out their team’s songs from pre-match to through the final whistle. Watching and participating with the supporters was almost as exciting as the match itself. The Long Lions ended up pulling out a 3-2 barnburner of a match, and everyone made their way home happy that night. Personally, I had attended one of the best sporting events of my life. 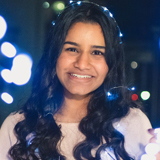 It was a unique, pure energy that I hadn’t yet experienced in professional sports. No matter where you go, games will sprout up to entertain and provide respite for fans and participants alike. I’ll be at the Kitchee SC match in Mong Kok this upcoming Wednesday. Talk soon.